One of my most popular requests, other than generally good dining, is for vegetarian or vegan food in Brighton. But not everyone wants to go to the typical "marinated tofu and sprouting hemp cafe", or want to offer their carnivore dining companions more choice. Thankfully, there are actually plenty of great places to go here that cater very well for those on meat and/or dairy free diets. But one place I would NEVER have historically recommended to them is MEATliquor. I mean, the name of the place does not exactly evoke the fact that vegetarians (or tee-totallers for that matter) would be catered for! Whilst they aren't rebranding as VEGliquor anytime soon, they are introducing a wider range of both vegetarian and vegan food, which I think is a pretty good idea. I've said before that I am an unlikely fan of this restaurant. 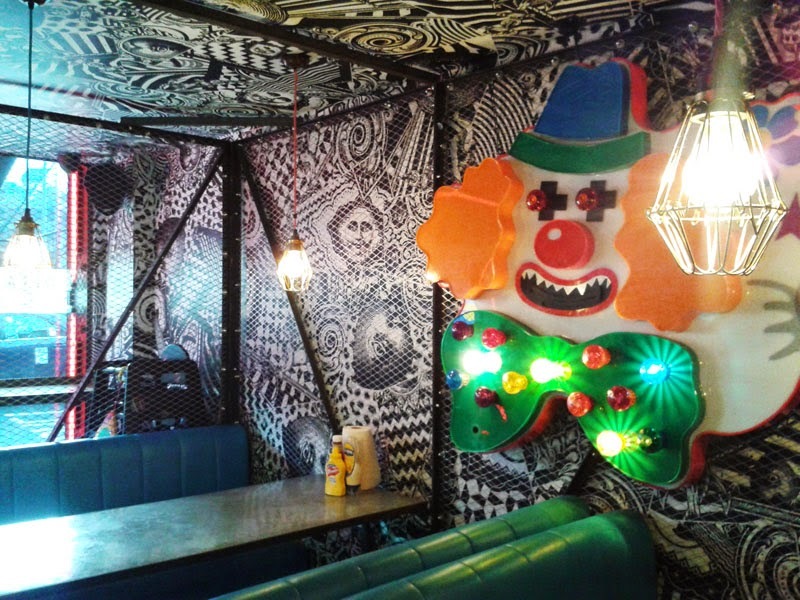 They have brought something new to Brighton, I adore the chaotic interior and their lunch deal is really good value. Food-wise, it's wickedly delicious and downright filthy good. I don't know what they put in their food, and as unfussed about fast food as I am, I always enjoy a feed here. So here I am to put the meat-free dishes to the test. 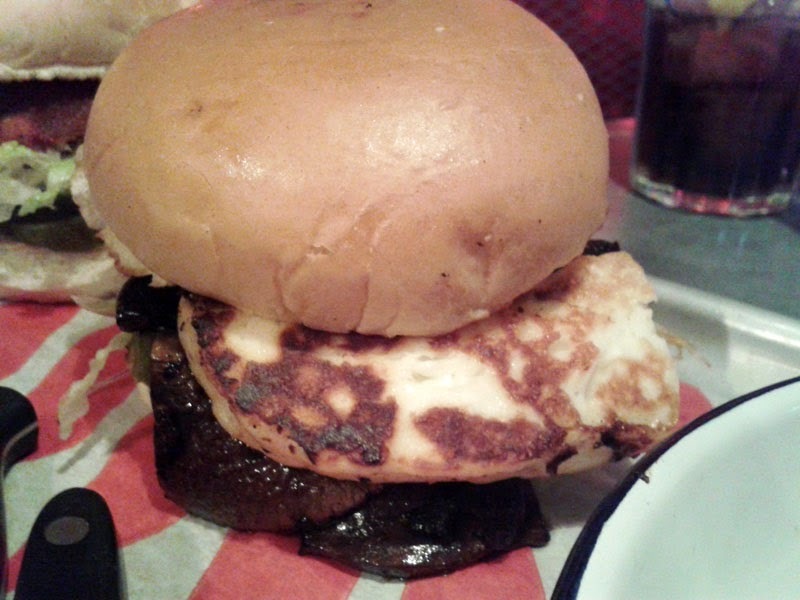 The one burger that had always been on the menu for vegetarians was the Halloumi & Mushroom (V). Two obvious ingredients but really, the texture and taste of both are great in a burger to give bite and meatiness without the meat. Texture-wise, clearly a huge hit and there was enough variety of flavour in there to keep it interesting. Whoever deals with the pickles in this place is after my own heart; thickly cut and plenty of them. My co-carnivore companion (style blogger Style Memos) actually said she would order this again over the meat. The new vegan burger, Burgaloo (V) wasn't so successful. 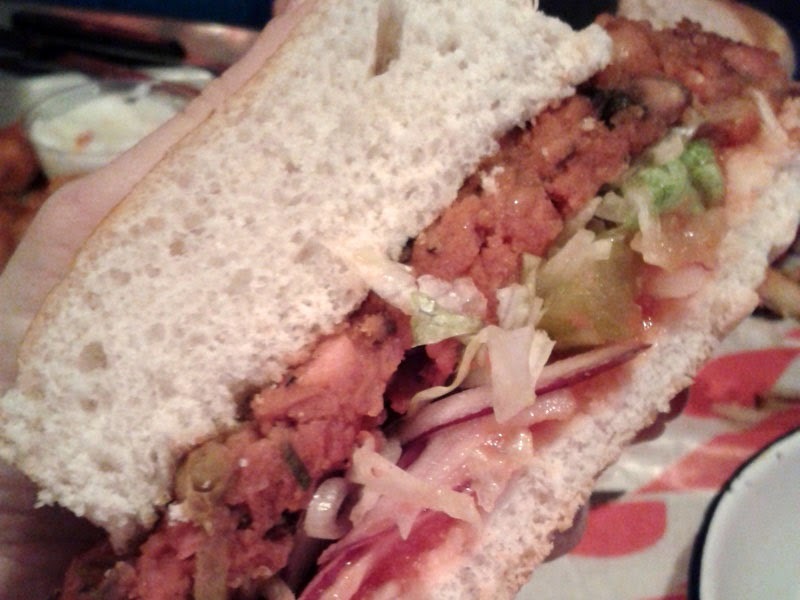 Although tasty and with a really decent hit of spice, the potato, chickpea and vegetable patty was soft and sloppy and with the spongy style of bun here, didn't really give you anything to bite into. As I said, there was nothing wrong with the flavour, but there needed to be some crunch, maybe with sturdy fresh and thinly sliced veg. One thing I love are the Monkey Fingers, which are battered chicken strips in some black magic, delicious hot sauce. 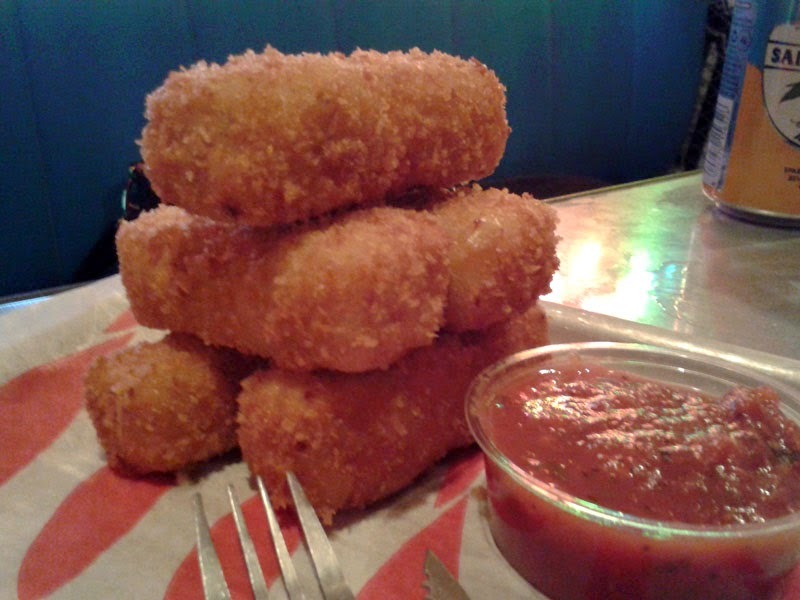 Now you can order Satan Fingers (VG) that are much of the same but with battered mock chicken. I've tried fake meat before, and I've always found it pretty grim, but here it was surprisingly successful (made from the wheat gluten Seitan, get it?). 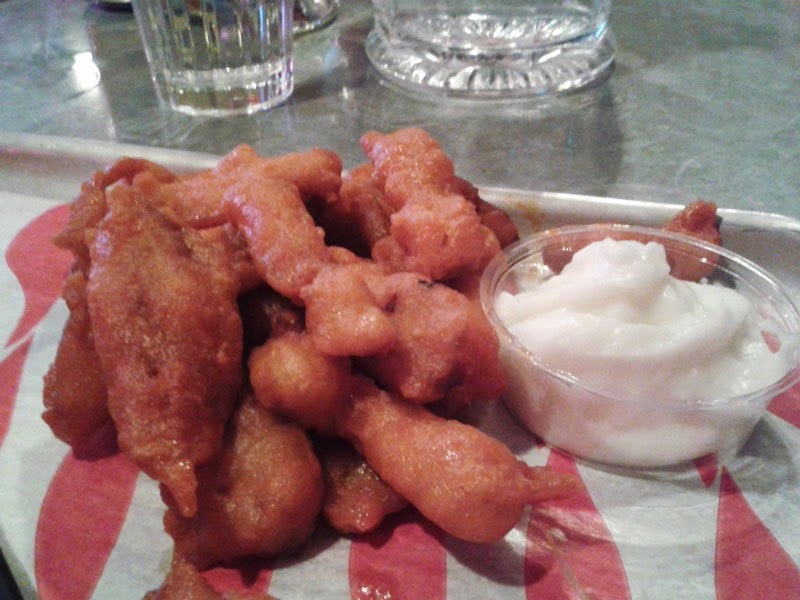 The texture was really good and with the same punch of the hot pepper sauce and squidgy batter you have on the standard fingers, noone now needs to miss out. The garlic dip was like Lebenese toum, an emulsified oil, lemon and water dip (at a guess) which mimicked mayo as close as anything without eggs can. Mac and cheese is something I have only occasionally had but never breaded and deep fried before. Beautifully crisp, I think you can imagine how good these tasted. There are also quite a lot of sides you can still have to supplement your meal; onion rings, THOSE fried pickles, slaw and fries. Oh and there is a salad. 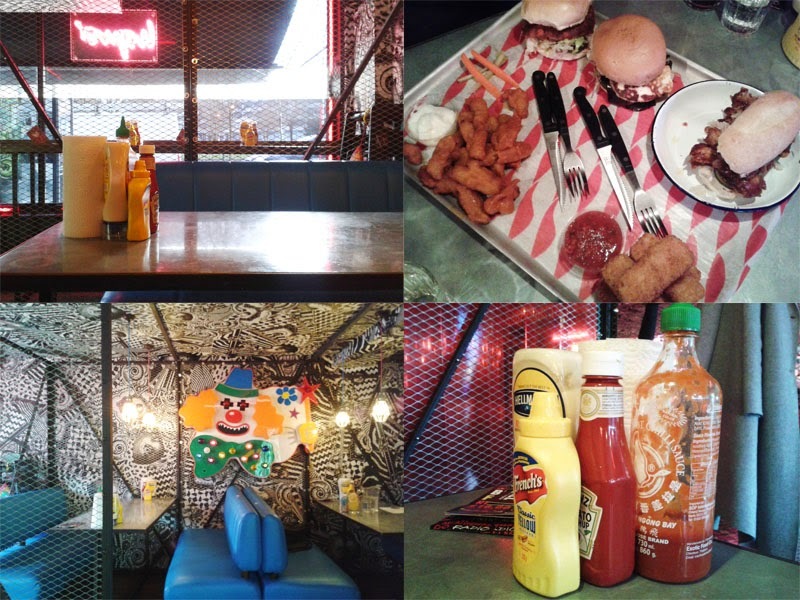 But who goes to MEATliquor and orders a salad, vegetarian or not? 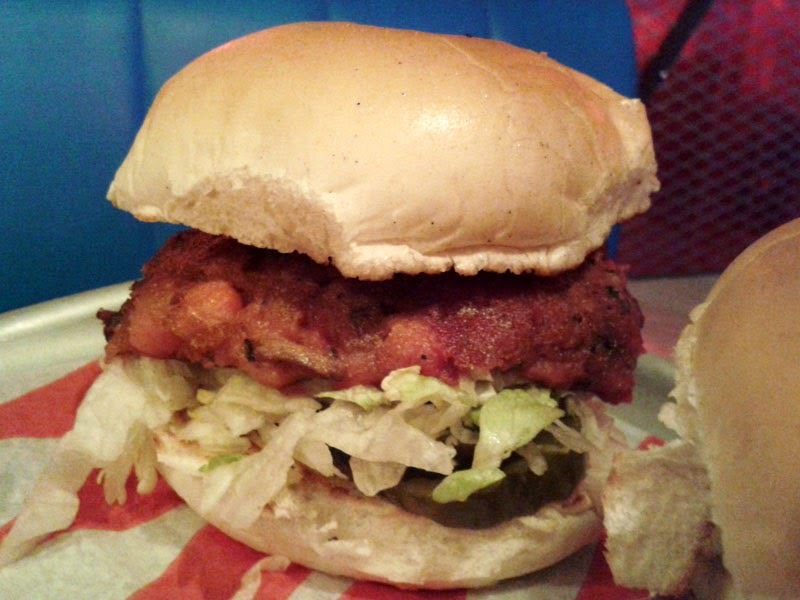 I was a guest of MEATliquor.